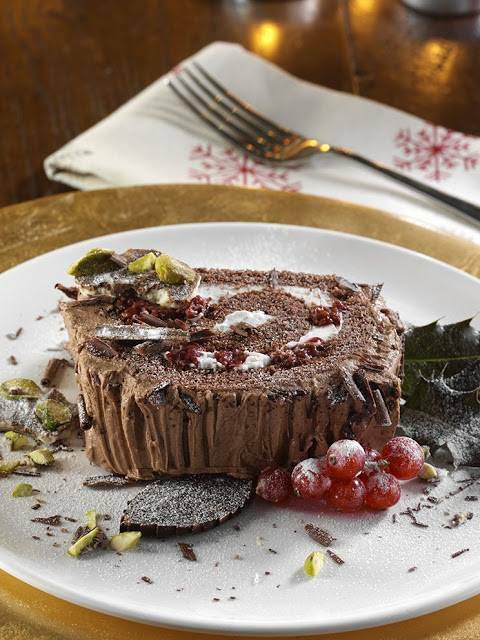 A squidgy chocolate log with cream, fruit and more chocolate, make this a really special festive dessert. It looks impressive and tastes even better! A dessert that will put a smile on the face of adults and children alike. 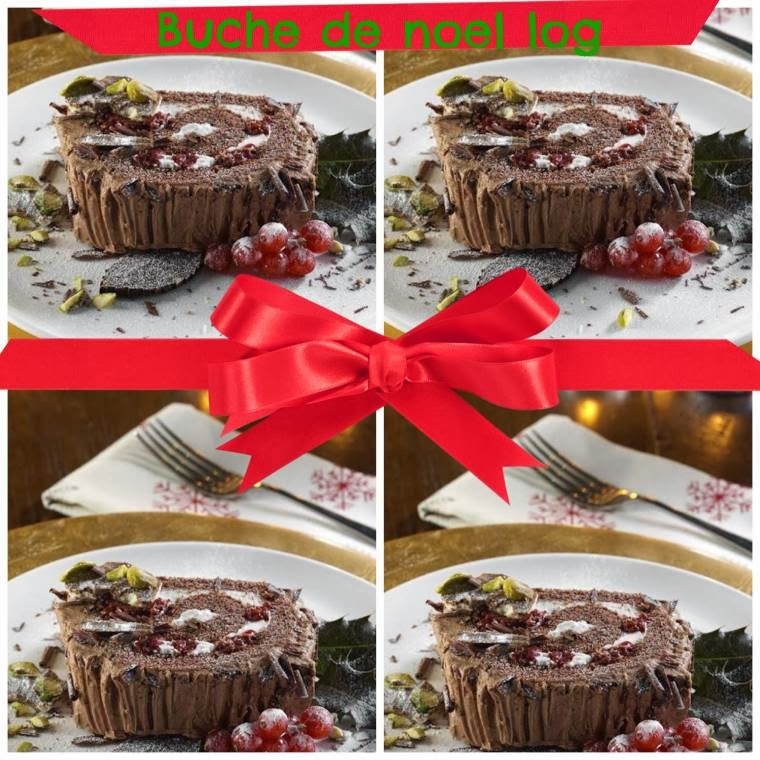 The perfect pud to serve after dinner during the festive period. Line a 23 x 33cm Swiss roll tin with baking paper. Whisk the Whitworths for Baking Caster Sugar and egg yolks in a bowl until light and thick. Whisk egg whites to stiff peaks in a large, clean bowl. Gently fold into the chocolate mixture using a large metal spoon. Pour the mixture into the prepared tin and bake for 12-14 mins until risen and springs back to the touch. Leave to cool in the tin for 5-10 minutes. Lay a sheet of baking parchment on a board. With one bold movement, turn the cake onto the paper, then lift off the tin. Carefully peel away the baking paper and leave to cool completely. Spread the whipped cream all over the cake and evenly spread out the fruit. With the long side opposite you, use the paper to roll up the cake. The cake may crack as you roll it, but don’t worry! For the butter cream, beat the butter, then sift in the Whitworths for Baking Super Fine Icing Sugar and cocoa. Beat well, adding enough milk to create a smooth light butter cream. Spread the butter cream over cake covering all the sponge. Use a fork to create a log effect. Decorate with a dusting of Whitworths for Baking Super Fine Icing Sugar and serve. Simply melt chocolate, pour into a baking tray lined with baking paper, sprinkle with a little rock salt and finely chopped pistachio nuts. Leave at room temperature to set for 1-2 hours and break into pieces. "Boozy Sultana Cupcake with Brandy Butter Frosting"
"Sticky Brown Sugar Pavlova With Spiced Clementines And Pecan Praline"
Looks gorgeous! I really want to try this out. Thank you for sharing. Give me anything with chocolate in it! Looks great!